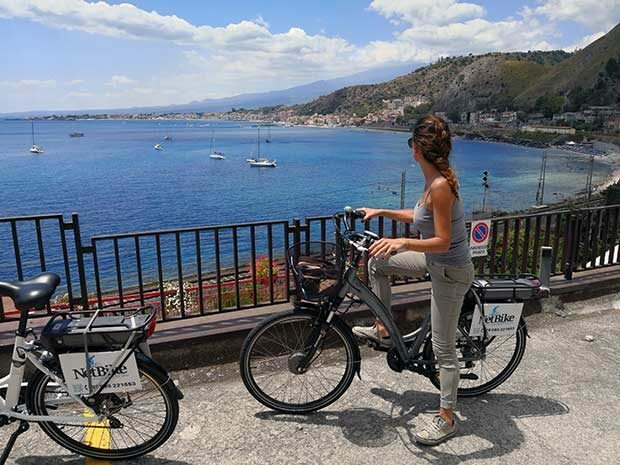 Discover Giardini Naxos and the tourist district of Taormina on E-Bike. There are no limits, achieve every goal with no effort. to best enjoy the natural and cultural treasures in the land of Montalbano. 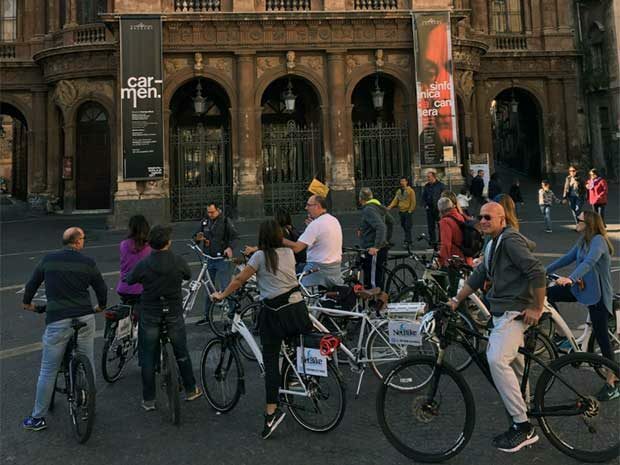 Visit the city of Catania riding an e-bike as you would never have thought to do. The city of the Swan will have no more secrets for you. Our service allows to rent e-bike (E-MTB/E-City Bike) in the tourist area of Taormina, Marina di Ragusa and Catania. Choosing our guided tours you will have the opportunity to visit not only the most popular points of interest, but also those less known which often reveal different and exclusive experiences. Our pedal assist bicycle, equipped with electric motors, allow you to discover with no effort the nature and the history of the territory in an easy, fun and inexpensive way. The touristic tours in the area of Taormina, Marina di Ragusa and Catania have been thought to allow everyone to experience the territory in a different way and achieve a complete knowledge of the places visited in the full respect of the historical sites and the nature. 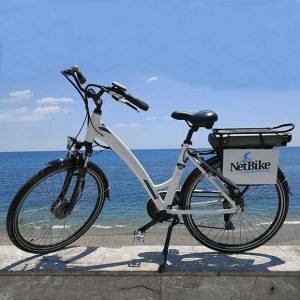 The NetBike cycling tour service is currently available in Catania, Giardini Naxos, Taormina and Marina di Ragusa. 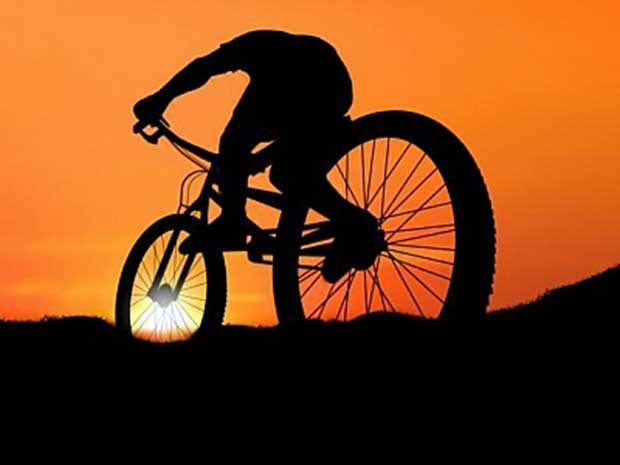 NetBike offers the rental of E-MTB and E-bike City Bikes, which allow you to take routes of all kinds to discover the most exclusive places in the area. In addition to the rental of e-bike and pedal assisted MTB, NetBike also offers its customers the possibility to book organized tours. The tours can be made in different Sicilian locations and will allow you to discover unique and unexplored places.